← And in the meantime…. Most days you will find me up to my thighs in boxes, but every once in a while I take a much needed break. Per wit: I had a fantastically fine time at Dave and Diane Legg’s Halloween Party. One cheap blonde wig askew, a black leather jacket and skinny jeans tucked into vintage army boots and I truly was one tough mother (lipstick! eye liner! nail polish!). Further emboldened by black lights, fine company and the elixir of youth (primary ingredient—vodka), I danced all night. Ten days later, my fifty three year old knees are still pissed off. This entry was posted in Just for fun and tagged Dancing your troubles away, FUN!! !, stage IV lung cancer. Bookmark the permalink. You go!! I’ve heard Diane’s Halloween parties are something else. Tell you r knees to take a hike!! 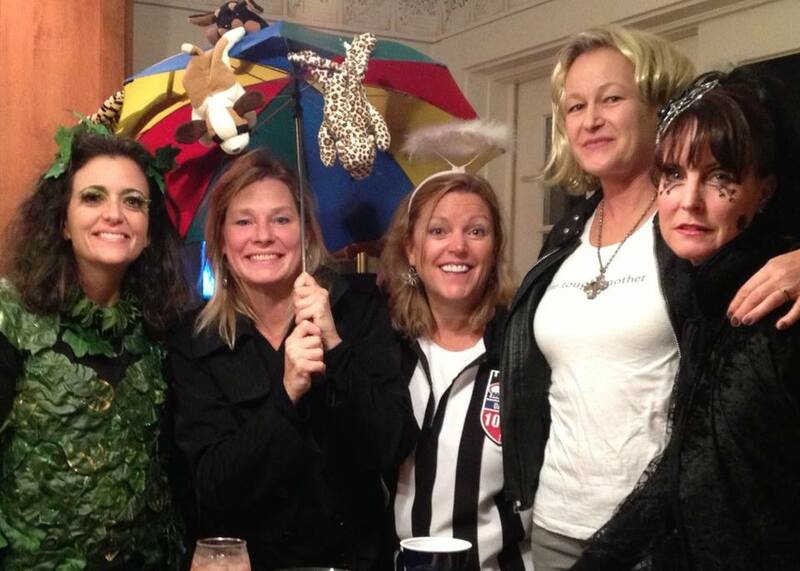 Diane Legg’s Halloween parties are EPIC! Wow, Yoko really is a bad dancer. Is that mean? ‘Cause I find it somehow reassuring. You, I feel sure, cut a mean rug! I think you have found next year’s Halloween costume Linnea.